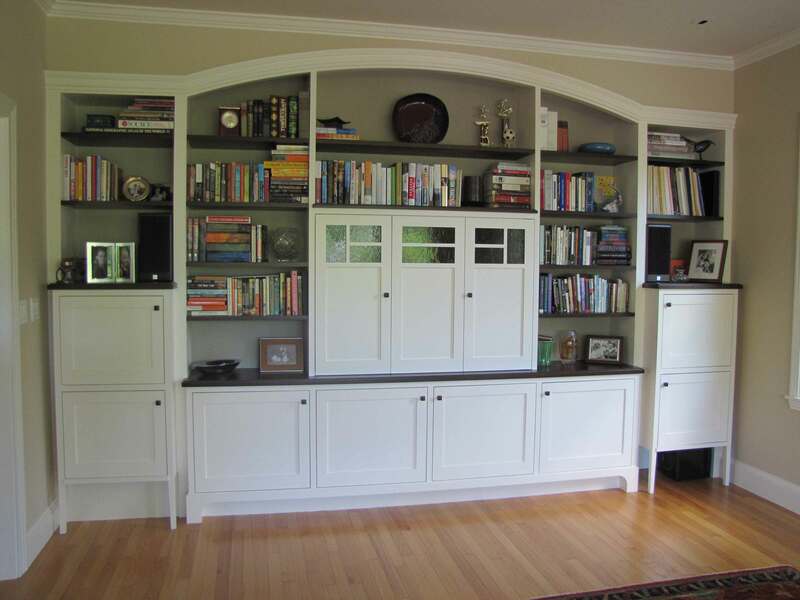 This Media wall unit features white painted cabinetry highlighted by Walnut contertops and shelves. 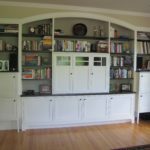 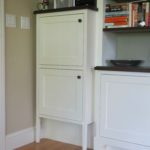 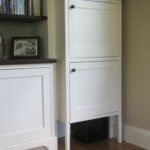 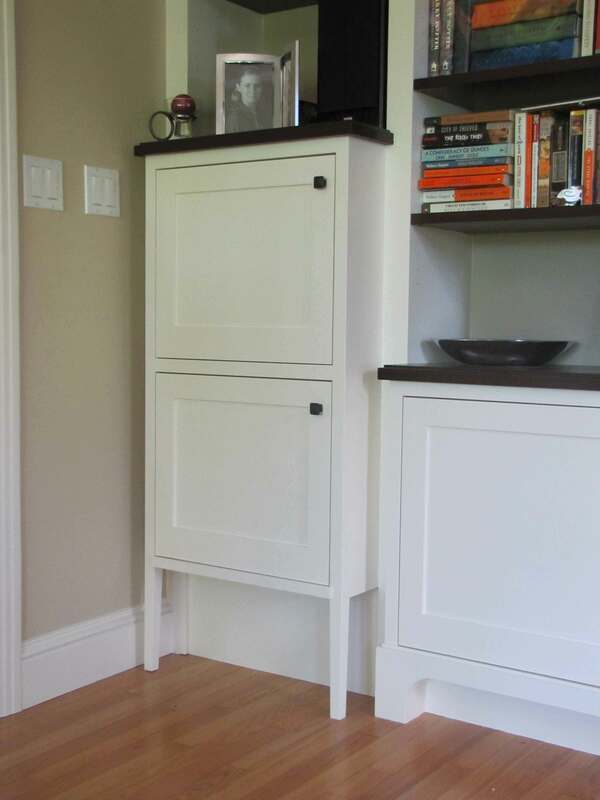 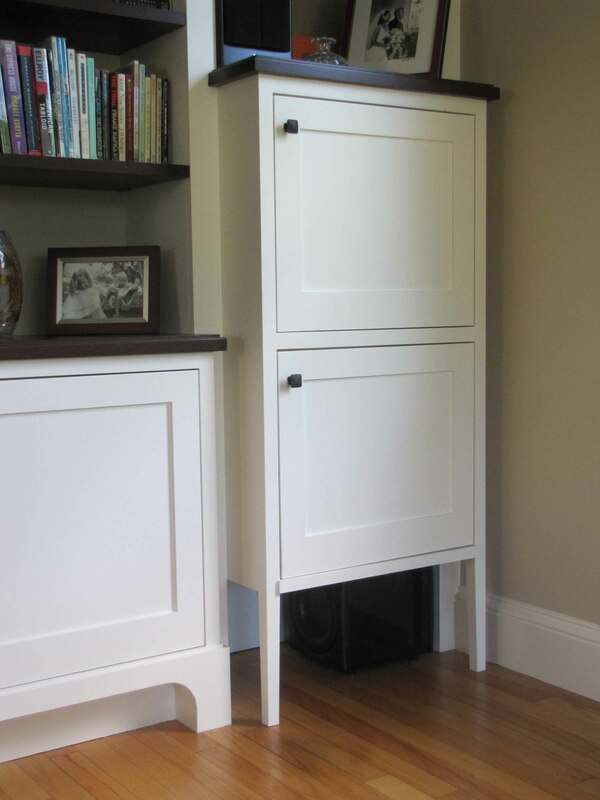 The flush inset Shaker doors and furniture style legs give the wall the feel of a thoughtful assemblage of free-standing furniture while the arched crown and other trim molding offer, as counterpoint, evidence that this is indeed built-in custom cabinetry. 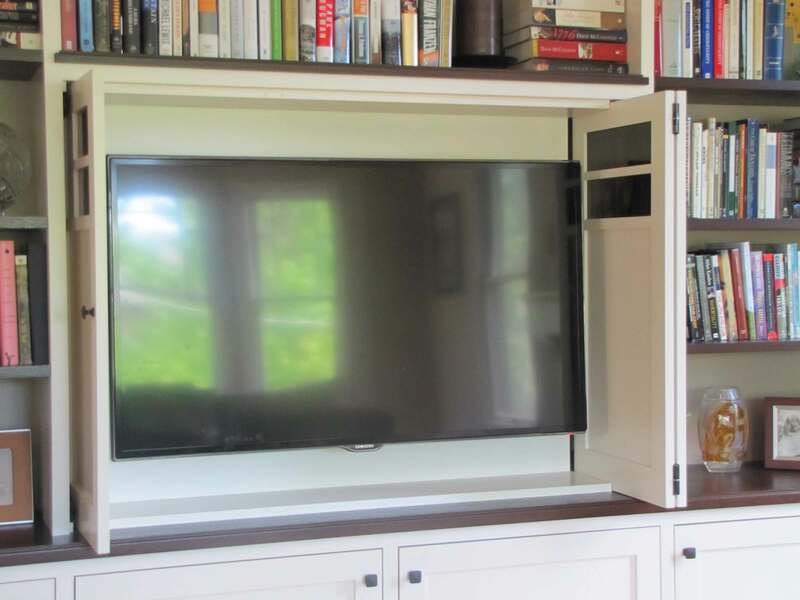 A flat-screen television is concealed by a 3-panel door system that opens and slides back into pockets, allowing a wide viewing area. 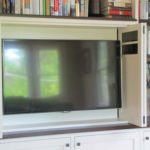 Other electronics and media are hidden away in the generous storage compartments, while favorite books and family treasures are displayed on the open Walnut shelving.